Are you researching possibly doing business with Components Mart from Hong Kong who sells Electronic Items? If so, you may want to read the below review of the experience of one buyer and their recommendation to consider when dealing with this company. 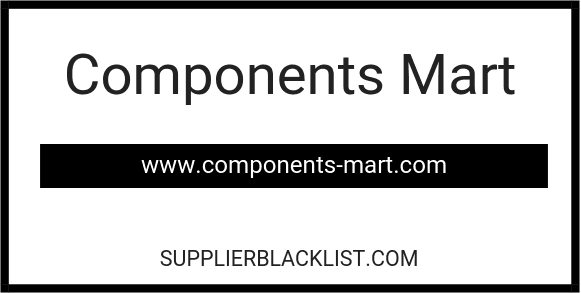 You can also find more searching options to learn more about Components Mart on Supplier Blacklist and across the web. I have purchase goods from Chinese suppliers and distributors for many years without problem. I needed to purchase a number of items which we used which were discontinued in Europe. Components-Mart advertised (and still do) that they had >5000 in stock. I ordered a quantity and they sent me a Proforma Invoice. They then said their bank HSBC were auditing their company and I should pay to another related company. I said I would wait until their audit was over. Alas more than six weeks later they are not corresponding, the telephone goes dead. Never pay up front with this company. Need More Info on Components Mart? 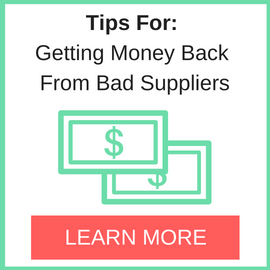 If you need more information, you can click the below links to search for more submissions about Components Mart on Supplier Blacklist as well as go to the search results page on Google for more reviews online about this company. 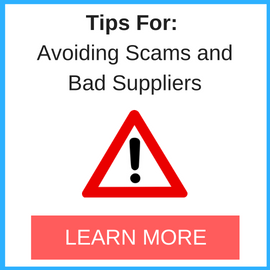 Perform a Supplier Blacklist search for more reviews on Components Mart. Search Google for Components Mart Reviews.